Two more pictures from the estate of Mr. Albert Robinson, Westfield Street, Ossett courtesy of his son Chris Robinson. These two pictures show two very old steam locomotives 50725 and 64208 in Ossett during the 1950s. 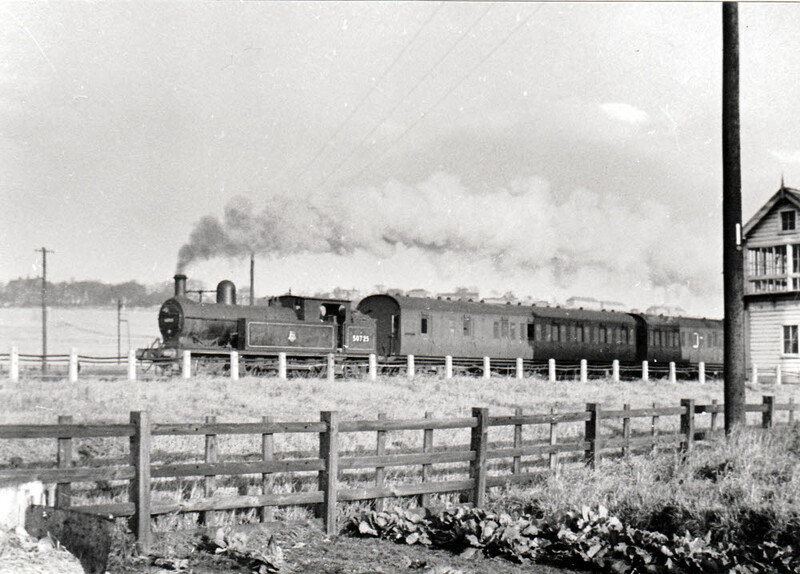 The first locomotive shown above, 50725, a Class LYR5, 2-4-2T was built in Horwich on the 31st March 1896 and was finally taken out of service on the 31st October 1958, dating the picture to before 1958. 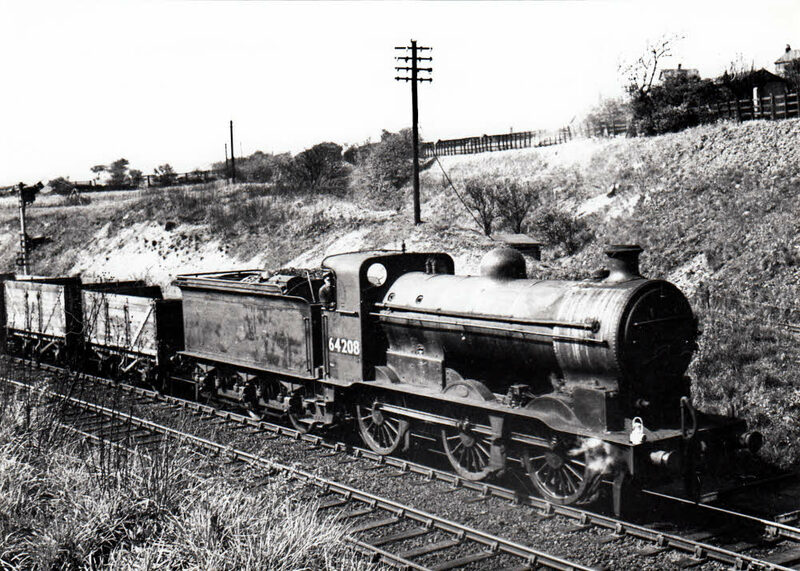 The steam locomotive was sent to the scrapyard at Spondon, Derby and was cut up for scrap by the 31st July 1959. I'm not quite sure where the picture was taken, but the sccene is thought to be somewhere in Ossett. The second picture taken at Runtlings, Ossett shows steam locomotive 64208, a class J6, 0-6-0, built at Doncaster Works on the 31st July 1913. 64208 was withdrawn from service on the 24th April 1961 and was sent back to Doncaster where she was cut up for scrap by the 31st May 1961. It is likely that the picture was taken in the late 1950s or very early 1960s.